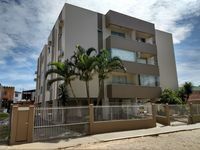 Properties in Ubatuba average 4.7 out of 5 stars. Excellent house, for families of up to 8 people. With wireless internet and air cond. Property 1: Excellent house, for families of up to 8 people. With wireless internet and air cond. Townhouse Capri / SC - Sleeps Great Family w / room for fun of children. Property 8: Townhouse Capri / SC - Sleeps Great Family w / room for fun of children. House Near Grande Beach and 1.5 KM from Enseada Spa. Property 17: House Near Grande Beach and 1.5 KM from Enseada Spa. Excelente im&oacute;vel, tudo bem limpo e organizado. Atendimento dos propriet&aacute;rios foi muito bom.